Refractory psychosis units currently have little information regarding which symptoms profiles should be expected to respond to treatment. In the current study, we provide this information using structural equation modeling of Positive and Negative Syndrome Scale (PANSS) ratings at admission and discharge on a sample of 610 patients admitted to a treatment refractory psychosis program at a Canadian tertiary care unit between 1990 and 2011. The hypothesized five-dimensional structure of the PANSS fit the data well at both admission and discharge, and the latent variable scores are reported as a function of symptom dimension and diagnostic category. The results suggest that, overall, positive symptoms (POS) responded to treatment better than all other symptoms dimensions, but for the schizoaffective and bipolar groups, greater response on POS was observed relative to the schizophrenia and major depression groups. The major depression group showed the most improvement on negative symptoms and emotional distress, and the bipolar group showed the most improvement on disorganization. 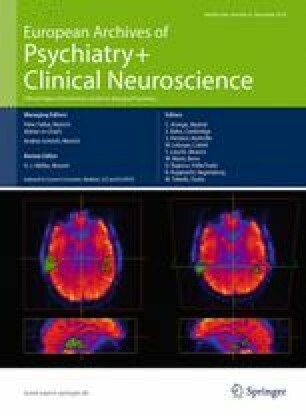 Schizophrenia was distinct from schizoaffective disorder in showing reduced treatment response on all symptom dimensions. These results can assist refractory psychosis units by providing information on how PANSS symptom dimensions respond to treatment and how this depends on diagnostic category. TSW is supported by career investigator awards from the Canadian Institutes of Health Research (CIHR) and the Michael Smith Foundation for Health Research (MSFHR). KJ is supported by post-doctoral fellowship awards from the Mind Foundation of BC and MITACS. Research at Riverview Hospital, and now in the BC Psychosis Program, is supported by BC Mental Health and Addictions Services.